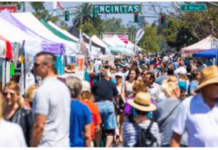 Springtime in North County brings showers – occasionally – flowers, the most beautiful weather in the world and this year the 36th Annual Encinitas Spring Street Fair. 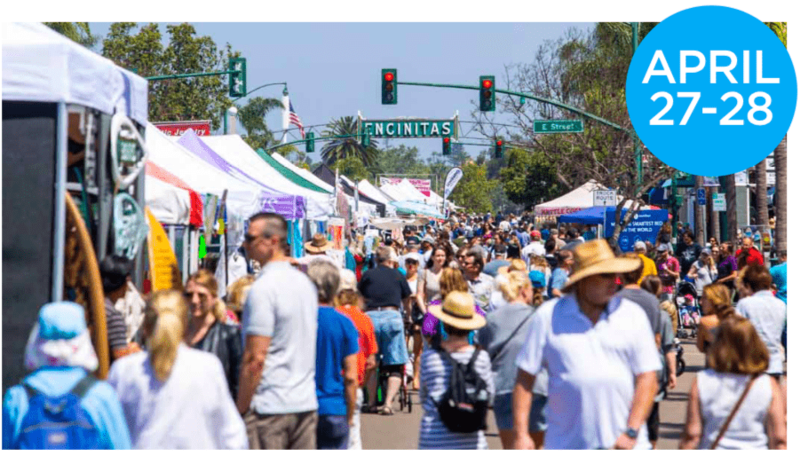 This year the Street Fair is sponsored by Scripps Health ( www.scripps.org ), returns to Downtown Encinitas on Saturday, April 27 and Sunday, April 28 from 9:00 am to 5:00 pm. 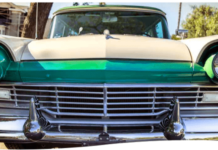 Coast Hwy 101 will be closed from D Street to J Street, from 3:00 am to 6:00 pm, to make room for more than 450 vendors, plus a Beer Garden, three stages, and kid’s rides, along this award-winning main street. Due to popularity; the Beer Garden hours have once again been extended on Saturday; open one hour longer; from noon to 6:00 pm. Sunday’s hours will be the usual noon to 5:00 pm. Stop by to try beers from Sierra Nevada; Saint Archer; Lost Abbey; Culture; and Helia. The beer garden is family and pet-friendly and will feature the events main entertainment stage. Each day several bands will rock the Beer Garden Stage, including headliners Burritos on Saturday, and High Tide Society on Sunday. Over on the Lumberyard Courtyard Stage; Saturday’s headliner will be Jonny Tarr Quartet, and on Sunday The Ramblin Sweethearts will close out the weekend. Up-and-coming stars will entertain crowds at the Hansen’s Community Stage. So, what can you expect to see from the 450 vendors; clothes; jewelry; home grown and home baked foods; ideas for your home and tin bric-a-brac to brighten up your home and garden. Even if you aren’t in the mood to shop for the unique; can you think of a better place to do it? Come out and enjoy a beautiful spring day in the nicest community in the nicest area in the whole world. Electra Bike is sponsoring the free Bike Valet service at each end of the festival; so cyclists arriving at D Street or J Street can leave their ride in a secure spot while enjoying the festival. 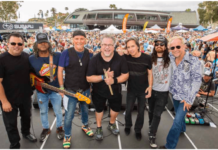 For those arriving by car, parking will be available at Moonlight Beach; City Hall; Pacific View Elementary (600 3rd St) and North County Transit District Coaster Station lots (along Vulcan Avenue at D and E Streets).